If you have been thinking of ways to update your bathroom but don’t want to commit to a full renovation, maybe something as simple as replacing your countertops could be the change you have been hoping for. 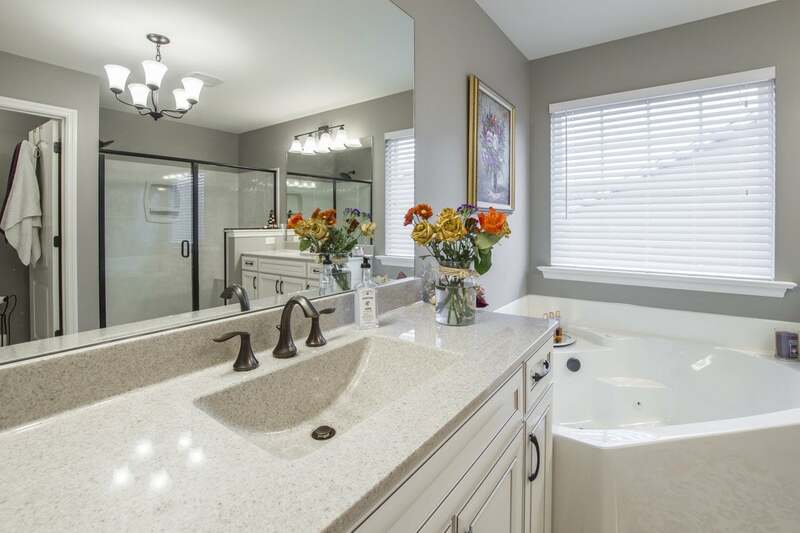 Faded, chipped, or peeling countertops in your bathroom can give it a dingy look, but with a simple change of your countertop material, color, or style, your bathroom can have a completely new feel on a small budget. Take a look below at some of your options for updated bathroom countertops in Los Angeles, and contact Pacific Green Homes today to discuss your project. There are a variety of materials you can choose for a bathroom countertop, and each has its own benefits and aesthetic elements. Depending on the look and feel you want in your bathroom, each of these options is worth considering. Granite is a great option for both kitchens and bathrooms, because it is durable, attractive, and has a wide range of colors to choose from. Granite countertops are more expensive than some other options, but you can be sure you will get your money’s worth with this high-end upgrade. For a modern aesthetic and a wide budget range, concrete is an option that is growing in popularity. Depending on your budget, there is a wide variety of colors, finishes, and appearances you can choose from before having your final choice installed by a professional. When you see “concrete,” your first thought may be sidewalks and public ramps, but don’t let that fool you: concrete countertops are gaining traction because they are both durable and attractive in a modern bathroom. For the budget-conscious upgrade, laminate is a great option. These countertops have a wide range of finishes, meaning you have significant control over the final appearance of your new bathroom. One issue to be aware of with laminate is that it is not good with heat, meaning that a hot iron can cause discoloration, bubbling, or even melt the laminate surface. For a classic look and a wide variety of textures, colors, and appearances, tile is a great choice. As you could expect with such a range of options, there is also a big range in price. Depending on the look and material of your tile, you can update your bathroom on a budget, or splurge for a high-end, gorgeous finish that costs quite a bit more. Since tiles can be created from many different things, it’s important to understand the pros and cons of each material before making your final decision. Quartz countertops emulate natural stone very well, but are engineered to require much less maintenance for a high-traffic countertop. Since this is a manmade material, you will have many options to choose from, including veining, marbling, color, and texture. Quartz is a common option for bathroom countertops in Los Angeles because of the wide range of options and dependable function. Marble is beautiful, but isn’t necessarily the most practical for a high-traffic bathroom. The porous stone can absorb stains, gouges easily, and can quickly take on a beat-up appearance. If you must use marble, use it in a bathroom that is rarely used. 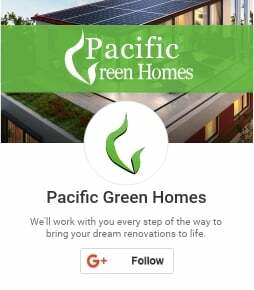 Here at Pacific Green Homes, we have plenty of experience with bathroom renovations, and will be happy to help you decide on the best steps to take towards updating your room on the budget you have decided. The materials listed does not include every option, and depending on your vision, we will help you choose the material, color, and appearance that will be exactly what you are hoping for. Contact us today, and begin the process of modernizing your bathroom with a team you can trust.